Outside of Trump, the one thing dominating the news over the last couple of years has been Brexit. 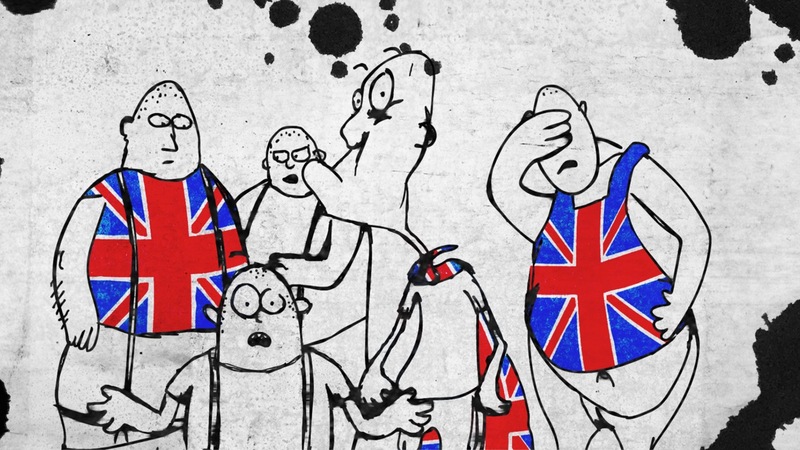 Ever since the 2016 EU Referendum here in the UK, the fallout has flooded our news feeds, discussions and general concerns, so it was only a matter of time before Brexit started to influence art and storytelling as well. 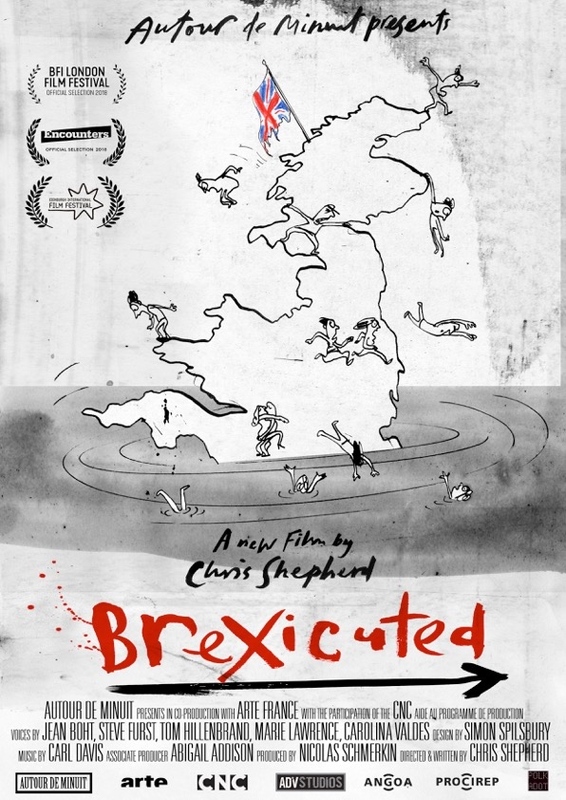 One filmmaker looking to tackle the shambles the United Kingdom now finds itself in is Writer and Director Chris Shepherd, with his animated short Brexicuted. A satirical comedy that interviews a variety of British characters the day after the vote, Chris joins us to discuss the cathartic process of creating his film and the power of stereotypes when telling his story. For those of us in the UK, Brexit has somewhat flooded all of our media outlets ever since the Referendum vote back in 2016. What made you want to tackle the subject and how did you decide on this storyline/approach? Like many people I was really cheesed off about the Brexit. A group of very uber rich politicians and newspapers have conned the people. Ultimately so they could maintain their wealth. So my film explores the misinformation and jingoism that led to the result. It’s that sense of farce that I wanted to capture with the film. A touchstone for the film is the Joe Orton Edna Welthorpe tribute project I created last year with Doctor Emma Parker [Chris discusses this project in our Johnno’s Dead interview]. There is one Orton play which is very like Brexit – The Erpingham Camp. It features a camp leader like Fred Pontin (of Pontins Holiday Club fame) who attempts to stave off a revolution in his own holiday camp. Misguided leaders sticking to their guns while Rome burns. It’s that sense of farce that I wanted to capture with the film. 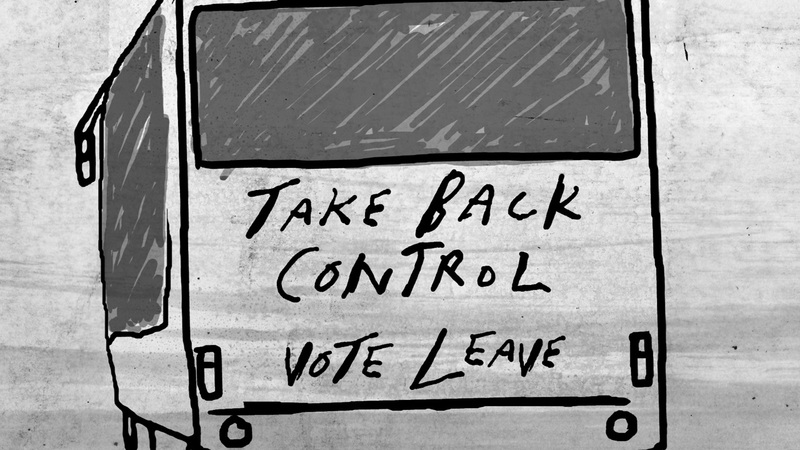 In Brexicuted we follow a group of interviewees and how their decisions lead them head on into chaos. My biggest thrill on the project was to work with composing legend Carl Davis. His score for the film is very regal. I enjoyed the way you use humour to tackle a serious subject in this film, what made you adapt the comedy approach over something more serious and did making the film have a cathartic effect for you personally? I was angry about the vote. How could people vote for a deal without knowing the detail? If you were going to negotiate in business, you’d have a business plan, not a load of nonsense rhetoric. I watched an old lady from the BBC straight after the vote waffling on, “I just want it to be like the good old days when Mr Churchill was in charge”. I thought, for Christ’s sake. It was like that Chris Morris sketch where the old woman goes on about eating the mortar from in-between the bricks in her house to stay alive in WW2. I thought what would happen if this Churchill woman was blown up as a result of her opinions? I laughed when I imaged her transported back to the second world war and being blown up as a result. This image popped into my mind and gave me a devilish giggle. That was the starting point for the film. Brexicuted feels like a very British film, do you expect international audiences to react to it differently and what do you hope they would take from it? I made the film for French TV channel Arte so Europe is very interested in the outcome of the Brexit. They are part of the narrative. I’ve made many films for France and was upset on the day of the vote because without Autour De Minuit, Arte and Canal+ I might have had to pack in filmmaking and get a part-time job working in B&Q (only joking). So when the 52% voted out I thought – how can they do this? But rather than working in B&Q I decided to make a Brexit film. One image that sums it up for the French is the two-headed man in the film. One head wants to be in the EU and there other out. He argues and beats himself up. I think for the rest of Europe that’s how the UK looks. A nation that is too embedded in conflict to be pragmatic or realistic. The film centres around a series of characters reacting to the referendum vote the day after it happened, how did you decide on the character looks/personalities and were you concerned about them being too much of a stereotype or was the aim to make them over exaggerated? I’ve spent most of my time in filmmaking trying to avoid stereotypes to create believable worlds. But when it came to the nonsense of the Brexit so many of the general public were winded up by press stereotypes. Immigrants, skinheads. The newspapers pushed out the most farcical images. I know this came a bit after the vote but can you remember when The S** printed the cover which showed everything great about the UK and most of the icons were foreign owned. It’s a joke. I was guaranteed to lose the 52% of the audience with the film so I thought sod it. So when it came to the film I wanted to embrace stereotypes. The more the merrier. I knew that I was guaranteed to lose the 52% of the audience with the film so I thought sod it. As Mel Brooks says, with comedy, there’s no point half ringing a bell. If you are going to do it go for it. Aesthetically, the film sports a “doodled” look complete with ink splotches and textured background, can you explain the thought process behind the visuals? 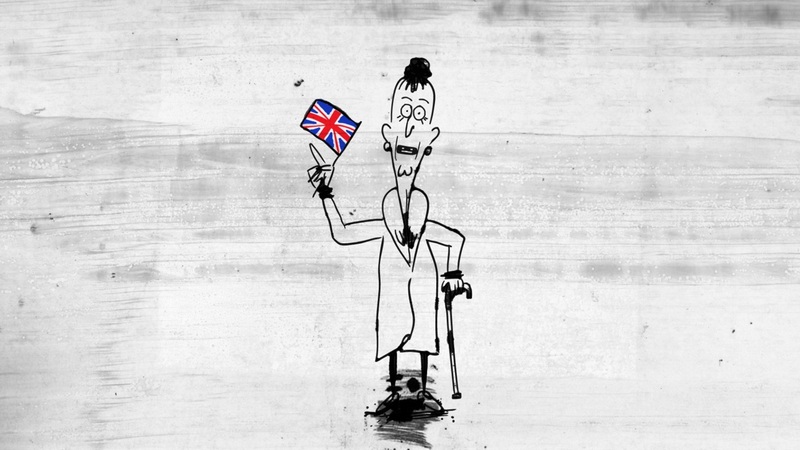 The film was designed by the brilliant Simon Spillsbury. His work is really fluid and expressive. He draws quickly with ink. We wanted to keep the vitality and spontaneous nature. But we didn’t have the budget to animate the whole thing on paper. Most of the animators were Flashers. So we came up with the insane idea of animating the whole thing in Flash. Which was bonkers as you would think it was completely the wrong tool. But I did some tricks which made it look like the artwork had been messed up by someone with a hangover. I also mixed the digital drawings with real scans of ink splatters and other messy textures. My blueprint for the film was my 2005 collaboration with David Shrigley Who I Am And What I Want which was fashioned by similar means. First up. No more topical political films! It was hard chasing the news. I wrote the script early 2017 and everything has changed since then. I kept thinking if Theresa did a good Brexit or it got cancelled my film wouldn’t be relevant. But as it happens I suspect Theresa May has got M15 to use Prism to crack into my email and steal the climax of my script and use it as a blueprint for the actual Brexit. I’ve got a few things brewing. But watch this space…..